Okra is sensitive to chilling injury (discoloration and decay) when exposed to temperatures below 45°F. Temperatures above 50°F cause yellowing and toughening. 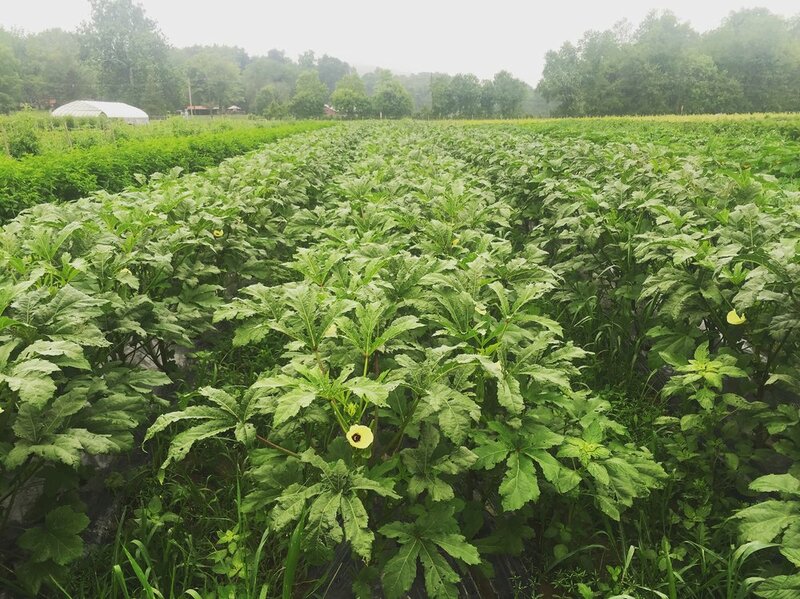 Okra stores best with high humidity. If you store it in your fridge, use it as soon as possible, and keep it in a plastic bag towards the warmest part of your fridge (upper shelf or near the front). Storage life: 7-14 days. Egg, grilled fish, shrimp, pork, sausage, chicken, beef, scallops/shellfish, sour cream, mayonnaise, buttermilk, dijon mustard, rice, cornmeal, lemon, lime/citrus, tomatoes, sweet corn, green beans, celery, bell peppers, greens, avocado, chiles, scallions, shallots, onion, garlic, capers, olives, olive oil, vinegars (red wine, sherry, apple cider, white), bread, dill, cilantro, basil, parsley, mint, tamarind, preserved lemon, cumin, coriander, paprika, sumac.